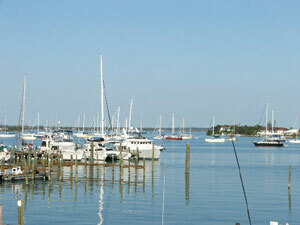 Marsh Harbour is the main settlement in the Abacos, located centrally on the eastern side of Great Abaco Island. This is where the main airport is situated and where your trip will begin and end. Being the third largest town in the Bahamas after Nassau and Freeport, Marsh Harbour is the liveliest settlement in the Abacos and definitely the boating capital of the Northern Bahamas. There are several marinas in Marsh Harbour and many sailors visit each year as it's a great place to reprovision, get repairs done and relax in a friendly and protected anchorage. During the year there are numerous sailing regattas, Sport Fishing competitions and local Heritage celebrations including the famous Junkanoo Festivals held throughout the summer months. There are many good restaurants with a variety of menus to choose from but we highly recommend sampling the excellent local seafood while you're here! Marsh Harbour is great for finding last minute gifts, local crafts and souvenirs. Speak with your Captain if you'd like to arrange a group meal here for your last night and we'll make reservations.